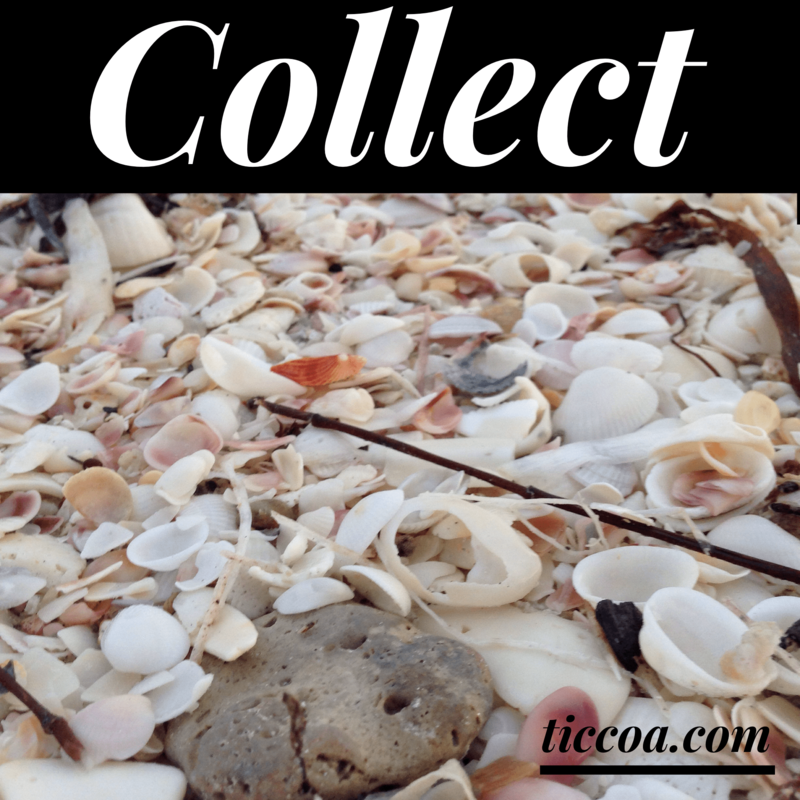 This week’s #FMFParty prompt is “Collect.” The rules: Set a timer and free write for five minutes about the week’s topic. No editing allowed! I sat at the water’s edge, sifting through the sand and shells as they rolled in with the waves and were swept back out to sea. Shells stretched for miles along the water’s edge. I wanted to collect them all—each one unique. I had to choose which ones were worthy of making the trip home. I’m learning I also have to choose moments. Which ones to keep and which to let go; which moment to grasp tightly and which to release. There are a multitude of moments I wish I’d had time to collect with my sister. Thirty years is too short a time to collect all the moments we wanted. There were more—many, many more that had yet to pass. And because those moments are gone, I grasp at the ones that are left—the moments turned memories. I will lose some as time passes, just as I will lose some of the shells I picked up on the Florida coast. But there are some moments that have been collected that will be with me always. It’s the ache of having had and now being without. It’s the injustice of having been robbed of something dear, taken without your permission. It’s the trauma of a moment, a diagnosis, a point of no return that wounds and scars your heart, your soul, your mind. It’s the knowledge that nothing you could have done would have changed the outcome juxtaposed with the wondering if you did everything you could have done and should have done. It’s the restlessness of not having any answers. It’s the conflict without resolution. It’s why I’ve been silent in words written and words spoken. My body is in forward motion. The world still spins. Time still passes by the second, the minute, the hour, the day, the week, the month. My feet keep moving, circling this uncharted territory. I’m left behind—no map, no reference point. I fear jostling any of them out of their reverie. Of accepting the reality I’m still not ready to face. To learn how to live with the absence that consumes my thoughts. My words are still present tense. I choke on past tense. I can’t move her there yet. If I do, I’ve lost something. Someone. A vital piece of my own history, my own story. So I sit. Silent. Holding myself in this shadowy valley, longing to turn back toward what was but is no more, unsure of what lies ahead and not ready to put forth the effort to start moving toward higher ground. The silence screams at me, willing me to break it, to find a balance between grief and joy, begging me to celebrate the good and process the ugly, to live in the light when everything seems dark. It’s the dissonance where I reside. It’s the silence that needs breaking.